Famed Tennessee brand will open franchise on Washington Ave.
Gus's will join the revitalized Washington Avenue West this fall. In February, Tennessee-based brand Gus's World Famous Fried Chicken announced that eight different markets were granted franchise expansions, and Philadelphia was on the list. Now, after filing a zoning variance, Gus's has announced it will in fact open up its local flagship at 20th Street and Washington Avenue. Pending that pesky zoning switch, Gus's is set to open this fall. It will join Café Ynez and Kermit’s Bake Shoppe along Washington Avenue West, joining the foodie revitalization of the strip. Penn Restaurant Group is developing the site. 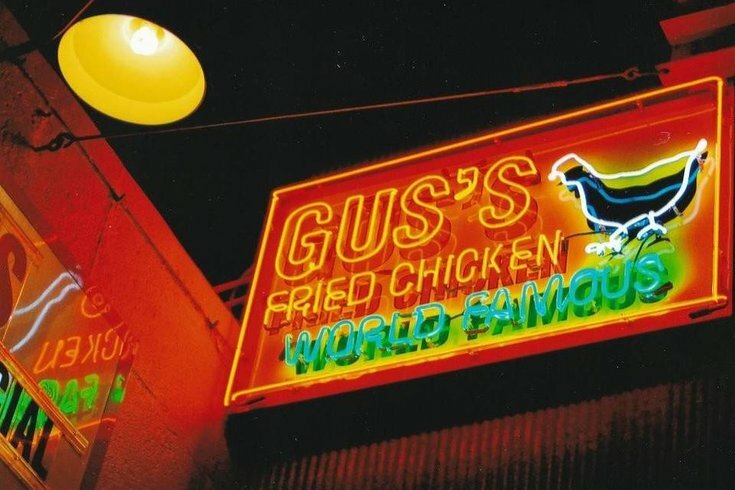 Gus's is a 60-year-old, third-generation family-owned restaurant brand, which has racked up awards for its crispy fried chicken. It's even been named to GQ Magazine’s "Top 10 Restaurants Worth Hopping On A Plane For." Luckily for us, that plane won't be necessary much longer. With that said, reigning fried chicken king Federal Donuts should certainly be on the look out for its new competition.